Figure 12 (A) On source images, hypointense "pseudo-filling-defects" extending into the center of calices (arrows) represent papillary tips and must not be confused with caliceal stones. (B) The corresponding MIP confirms the normal configuration of the calices with a typical papillary impression (arrows). Abbreviation: MIP, maximum intensity projection. 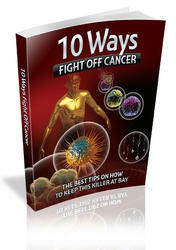 aid in finding small nonobstructing lesions and may also contribute information regarding local tumor staging. A urography is often mandatory for the planning of the appropriate operative therapy of a transitional cell carcinoma. Figure 13 Excretory MR urography of a male patient with chronic left-sided nephrolithiasis and recurring flank pain. A calculus is obstructing the UPJ on the left (arrowhead), causing moderate dilatation of the pelvicalices. The lower calix on the left bears another calculus (arrow), which can potentially pass through the dilated infundibulum. MR urography accurately depicts the chronically distorted urinary system and provides a road map for lithotripsy or endourological stone removal. 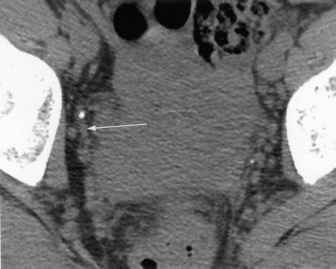 Abbreviations: MR, magnetic resonance; UPJ, ureteropelvic junction. assessment of the upper urinary tract. Thus, MR urography performed in addition to conventional MR pulse sequences offers an alternative to CT or retrograde pyelo-graphy. Advanced-stage transitional cell carcinomas are often associated with severe renal malfunction, which especially suggests using T2-weighted static-fluid MR uro-graphy. On the other hand, the use of low-dose furosemide in Tl-weighted excretory MR urography provides improved distension and a good SNR necessary in searching for small nonobstructing polyps. In general, the imaging features of a transitional cell carcinoma in MR urogra-phy are similar to those seen in conventional urography or CT urography (3,36). A transitional cell carcinoma develops as a sessile plaque or exophyte with either irregular or smooth margins, urographically causing a more or less typical filling defect. Inside the renal pelvis, a transitional cell carcinoma can infiltrate the calices; thus, they appear to be ballooned, amputated, or completely filled out on MR urograms (Fig. 14). A ureteral transitional cell carcinoma typically causes the urographic "goblet sign,'' which denotes a cup-shaped dilatation of the prestenotic ureteral segment (Fig. 15) (2,3,20,47).